summertime family portrait composite. 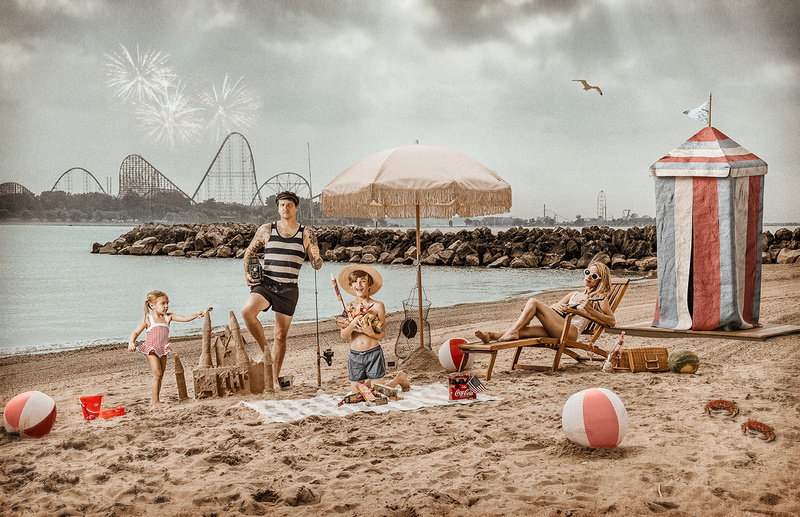 shot on location on the shores of lake erie and composited together in photoshop. everybody was shot individually using one @paulcbuff alienbee and a @westcottlighting Joel Grime Beauty dish. Tent was created in Cinema 4D and added in in post.